Well, this one was a project gun I've had for a long time. A guy brought it in, no grips, would not rotate the cylinder correctly, would not lock in place, was rusted all over, etc., etc. and wanted to see if I could fix it. Told him I'd try. Well, then I start to find out that Diamond back parts are scarce as hen's teeth, and expensive when you do find them. Had about $150 in it was wasn't getting very far, still missing critical pieces (the pawl, cylinder latch and a few other pieces). He stopped by and I gave him the bad news, that it probably could be fixed but looking at even more money and time. He decided that it wasn't worth it to him. I told him I'd give him $125 plus what I already had into it for it. He took my offer. Well, I Cerakoted it and did some work on it every now and again but got to the point where I just couldn't get it going. It sat for probably 18 months, I'd check for parts every so often but finally told myself that I wasn't going to get it fixed on my own. So I called Colt and sent it back to them. They said to work on it would cost $130 and they wouldn't start until that was paid and it would take 3-6 months because it wasn't warranty or such. Not a problem, I sent them a check in early Dec 2014 and kinda forgot about it. I got some packages yesterday. I got several so I didn't think anything about it figuring it was just another gun some ordered for me to transfer to them. Opened it up and Lo and Behold! it was the Diamondback. Paper in it just said; rebuilt, adjusted and test fired. 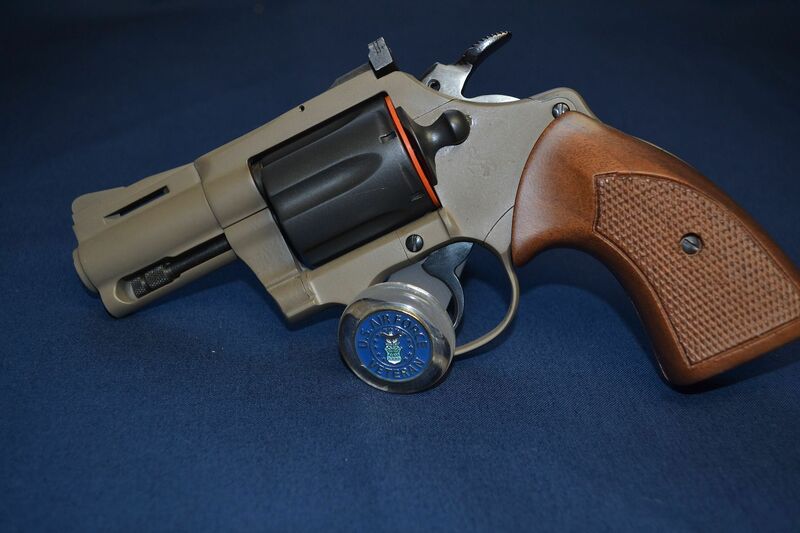 This was done before I started taking before and after shots, but trust me, it needed Cerakoting and I didn't really think at the time about sending it back to Colt to have it reblued and I have no regrets about that. IIRC this was a 2nd year of manufacture, probably 1967. Don't know if I'm going to sell it or not yet. 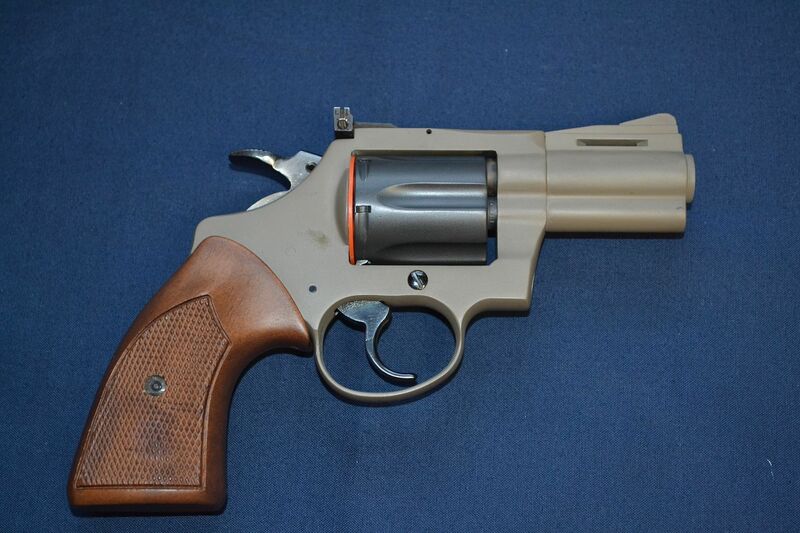 I am looking for actual Colt grips for it. The right side has a smudge on it, I forgot to wipe it off, nothing wrong with the Cerakote. Black grips would compliment that. I think - I can't really tell what color it is. 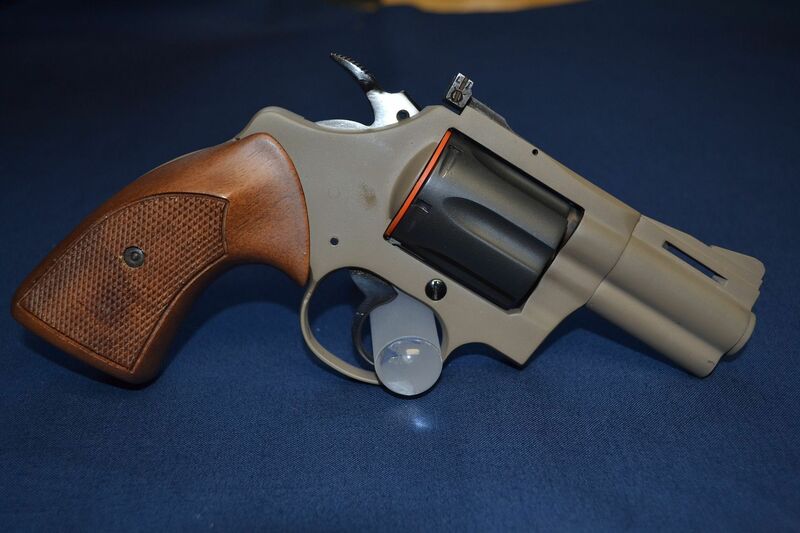 I'm toying with having a beater SHTF lever gun Cerakoted but I never seem to have the extra money to actually go ahead and do it. Very nice job! I'm impressed! I wish I had those sorts of skills. Emptymag, The colors are Flat Dark Earth and Sniper Gray (almost a black but not quite). How does cerakote hold up? Your work posted here makes me want to do an AK receiver. 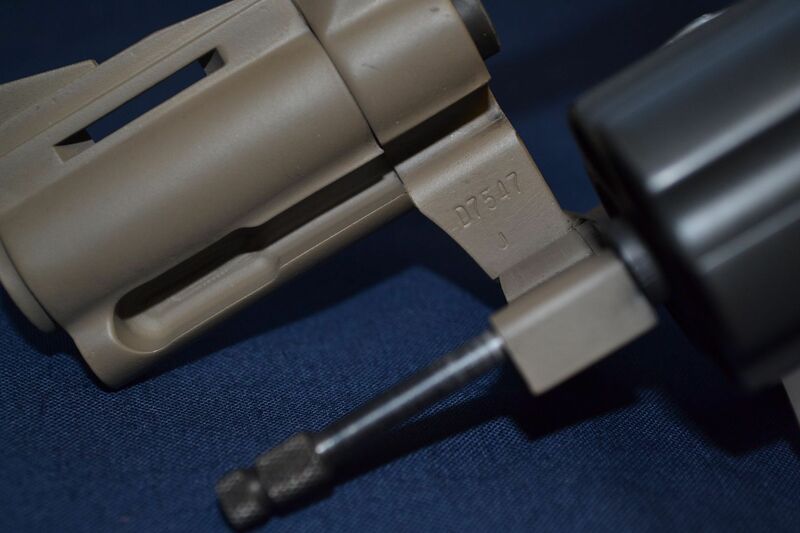 Mr_Gixxer;162962 Wrote: How does cerakote hold up? Your work posted here makes me want to do an AK receiver. Cerakote holds up very well. It was developed by NIC Industries which is probably the leading manufacturer of metals coating material. I have done a number of AR's and one (so far) AK and none of the customers has anything bad to say about the wear resistance of the coating. 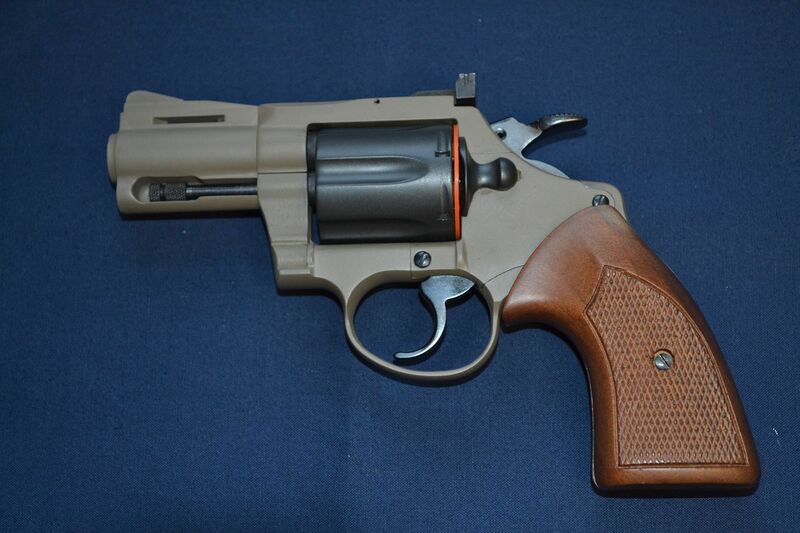 I have done a revolver for a customer that it is his EDC gun and although it is 4 years old, you would never know it. Most gun manufacturers that sell guns in Flat Dark Earth, OD Green, etc. use Cerakote.